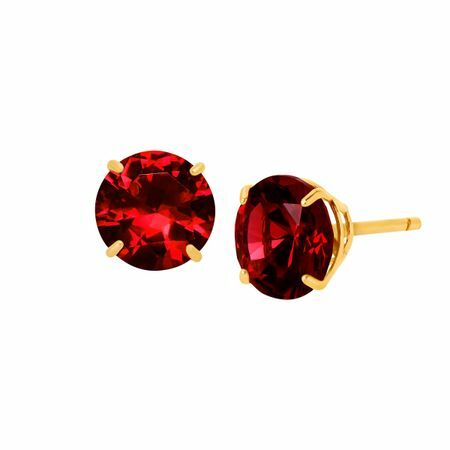 Celebrate the July-born in your life with these birthstone studs! Crafted in 10K gold, these round-cut created ruby stud earrings, totaling 2 ct, are finished with posts with friction-backs. Pieces measure 1/4 by 1/4 inches.